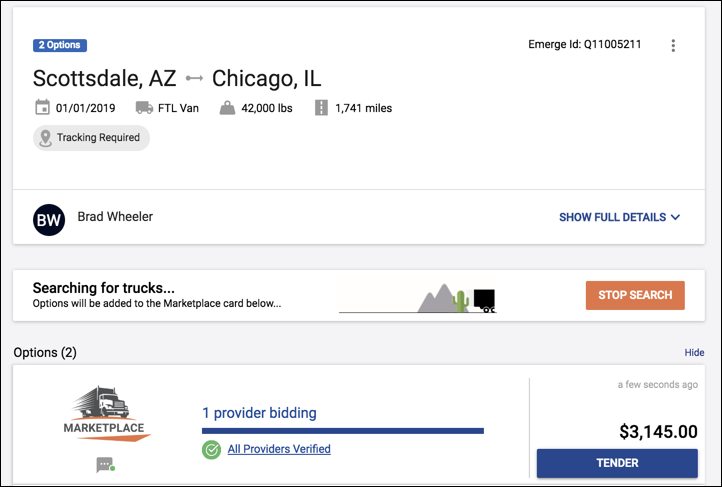 After creating a quote, you can click the Search For Trucks button that will allow you to make your quote/load available to our network for bidding. As options come in, simply click the TENDER button to book that rate. All carriers and brokers that have submitted options have been verified by our Carrier Compliance team at Emerge. When using the Marketplace, you have the ability to decide on which types of providers can see your loads. The types of providers are Brokers, Carriers, Carriers/Brokers or Other. Partner Codes will be used for future releases for EDI and system integrations. 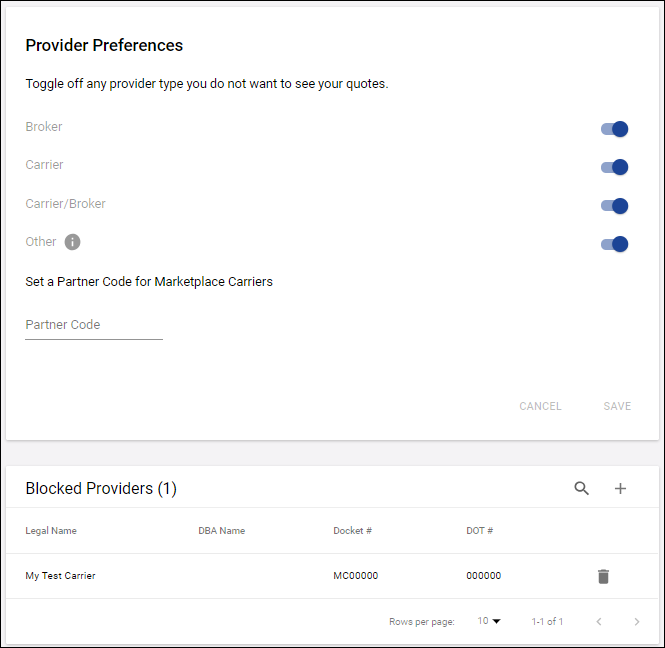 Emerge also allows you to block specific providers by entering in the capacity providers MC or DOT number. Simply click on your initials in the top right corner, then Marketplace Preferences. To avoid potential miscommunication, the current partners you have in your own network will only see the direct quote requests you send to them.